With a legacy stretching back almost three decades, Metal Gear Solid has shaped and inspired the career paths of some of the industry’s biggest names. 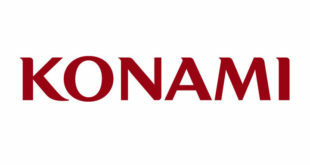 From Konami stalwarts and PR veterans to journalists and developers, the innovative work of Hideo Kojima and his team can be seen reflected throughout the modern face of games – whether it’s recently released indie titles inspired by the very first MGS, like Mike Bithell’s Volume, or even the viral approach of today’s games marketing, which echoes the fervent consumer following surrounding the reveal of 2002’s Metal Gear Solid 2: Sons of Liberty. 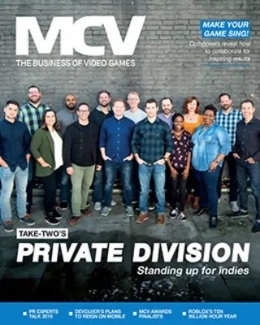 You’d be hard-pressed to find someone who hasn’t played at least one of the entries in the long-running franchise, and would struggle even more to find an industry member who doesn’t hold a memory or opinion relating back to a Metal Gear Solid game. In celebration of Metal Gear Solid V: The Phantom Pain’s release last week – the title said to finally bring the 28-year story of Snake, Big Boss and Revolver Ocelot, as well as the involvement of franchise creator Hideo Kojima, to a close – we spoke to fans from throughout the games business and asked them to recall the impact Metal Gear Solid has had on them. "Metal Gear Solid is one of those iconic brands within the gaming industry; it’s lasted the test of time." Metal Gear Solid is one of those iconic brands within the gaming industry; it’s lasted the test of time and recently celebrated its 25th anniversary. To last this time takes innovation, immense creativity and vision – MGS is a franchise that certainly has done this. What drives the brand forward is you never know what to expect from each release. For me, it’s definitely the story that makes MGS stand out – its twists and turns and never knowing what is going to come next has been a key factor in the franchise’s longevity. You are always kept guessing. Hideo Kojima is one of gaming’s greatest creators, and by achieving a breakthrough success found himself in a gilded cage. 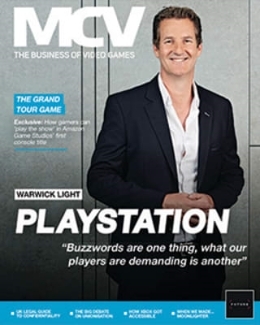 He and his outstanding team revere and, in a small way, resent MGS – which is why the series can be so brutal with its characters, themes and in what it says to the player. Alone, MGS is an all-time classic and enormously influential. What has kept the series at the cutting edge over four hardware generations is developer Kojima Productions’ ability to reinvent the game around its core systems.MGS2 pulled off the greatest bait-and-switch in marketing history by revealing Raiden as the lead, questioning the nature of sequels, and poking at the limits of player agency. MGS3 then abandoned the self-examination of the first two games, focusing instead on how individuals are prisoners to their environment. Heady stuff, and matched by a re-building of the core stealth gameplay – guards could now see further, most of the game was set in an animal-filled jungle, and Snake could change his camouflage at will. This was still Metal Gear Solid, but these changes elevated that sneaking core to new heights. MGS4 is from one angle a poison pen letter, a creator’s rebuke to his own fanbase and its ceaseless demands – giving them everything they said they wanted, in a way, but asphyxiating itself in the process. The core systems save things and, this time, are rebuilt around urban environments and the outstanding innovation of ‘octocamo’ – a chameleon-like suit that lets Snake blend into any background. "What has kept the series at the cutting edge over four hardware generations is developer Kojima Productions’ ability to reinvent the game around its core systems." And these are only the main entries. The PSP’s MGS: Peace Walker is one of the best handheld games ever made – dividing the missions into 10-minute chunks, with a genius local co-op mode and persistent structure. the MGSV prequel Ground Zeroes marked a more mature direction for the series, paralleling Guantanamo Bay and Abu Ghraib unflinchingly and dialling back on the cyborg ninjas (though the baddy’s still called Skull Face). You could write a book about any one of the games, and how they are differentiated from each other. An infamous part of Kojima’s interviews over the years is his oft-repeated declaration that this Metal Gear would be his last. Recent events make it seem like this may finally be the case. 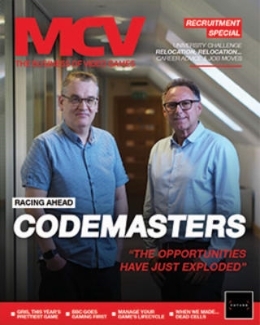 Tragic as this is, it’s perhaps an inevitable end to the tension that has kept MGS so vital. Kojima Productions’ swansong will be The Phantom Pain. If reports are to be believed, KP disbanded following the game’s completion. It’s no surprise Kojima and KP leave with a clear message; MGSV is the end, but the people who made the series and the fans won’t ever forget what it was like to be a part of. Whatever may follow, it has little choice but to face this grave, and salute. I was GM for the UK office but, to be honest, our first encounter with MGS was as a name on a potential release list. At the time, there hadn’t been a big MGS title and, while I knew of the series from the NES version of Snake’s Revenge, it didn’t have a strong reputation at that time. Mr Kojima had been responsible for Policenauts, which had been excellent but only sold moderately, but it wasn’t until we saw an early build that we knew how good MGS was. The product guys were calling us in to show us it, and the more they played it, the better it got. The graphics were obviously great for their time, but it was also original in that you had to avoid guards as to opposed just shooting them. We knew pretty soon that it was one of the best titles on the horizon – and we had quite a few high profile titles at that time. Things exploded after the release of the first game, and anticipation has got higher with each release. The E3 demo for MGS2, the open world and jungle setting for MGS3; each game just gets evermore ambitious, with Mr Kojima always looking to push the boundaries in terms of gameplay, presentation and content. Our emphasis has remained the same. These games enjoy an enviable reputation, so we push them as hard as possible to make people aware of the unrivalled quality they offer. A confession – I hadn’t played a single Metal Gear game until last year, apart from a brief day or two with Guns of the Patriots when I got my PS3. So a year ago, I didn’t have any MGS memories. But, that all changed when a good friend of mine challenged me to play the entire series in the summer months of 2014. Wow. To summarise my feelings towards this series in a short paragraph would be a disservice, so I thought I’d give a select few words. Epic. Intimate. Heartbreaking. Joyful. Sorrowful. Entertaining. Brilliant. As they say, the list goes on. Metal Gear Solid basically changed the way I view games, and completely for the better. My personal favourite? Peace Walker. In my personal opinion, PW defines the MGS series and what it can be. And to think something that epic fit on the PSP is mindboggling. Bravo, Kojima. Not many games let you have a fag in the snow after slipping past two faceless guards then riding an elevator to a snow encrusted military base. Metal Gear Solid gave us that. And that was only five minutes in. And Konami’s masterpiece just kept on giving. In the industry, it’s a classic. A benchmark. In popular culture, Metal Gear Solid is a cult classic. It’s given us so many memories. We’ve lifted so many things from the MGS series and use them daily. Metal Gear Solid changed gaming. It wasn’t just noise and lights and thrashing about anymore; it showed gamers that monsters can hide in the shadows, but so can we. Metal Gear Solid went over to the fourth wall, banged on it twice, and the world had no choice but to say: "Huh? What was that noise?" "In the industry, it’s a classic. A benchmark. In popular culture, Metal Gear Solid is a cult classic." I still remember being a kid and checking out the latest OPSM UK demo disc. It took a matter of minutes after starting the MGS demo for me to be hooked. In the nearly 20 years since that day, MGS has taken us around the world, through the changing of the times and taught us a few valuable life lessons along the way. Of course, there’s been plenty of borderline insanity that comes along with that. That’s really the beauty of Metal Gear Solid as a series; it’s always walked the razor’s edge between comedy and drama and is, in my opinion, the only game to succeed while doing so. I’ve played all the MGS games over the years and, from a story and setting perspective, my favourite is MGS3. I love the Cold War setting, with the world on the brink of a nuclear revolution.It’s a well-focused story of mentor and pupil. Of honour, loyalty, double-crossing and the shifting perception of right and wrong set against a very real threat of nuclear war. MGS3 also has some of the best boss fights in the series; who could forget the sniper battle with The End, or the surreal encounter with The Sorrow? Then, with the release of MGS3: Subsistence, a true 3D camera was added to MGS for the first time, allowing the player to fully admire the beautiful environments while adding fidelity of control that had previously not existed in MGS. From a gameplay perspective, the games have got better and better over time. The Mother Base feature added to Peace Walker gave the game another level of depth by adding a compelling management side to the game. Coming up to date with Ground Zeroes and The Phantom Pain, the control system now echoes accepted third-person shooter layouts – meaning pulling off stealth takedowns, stand-up gun fights and deftly navigating the landscape feels like second nature. So there you have it, favourite story and setting: MGS3. Favourite gameplay: The Phantom Pain. And favourite character… it’s got to be Big Boss. I worked on games mags before I was invited to take over Konami PR in 2001. I hit the floor running working on PES 2 and Silent Hill 2, before the big run-up to MGS2 soon after. The buzz was already there for MGS2 following ‘that’ E3 video, but I was also involved with the promotion of Zone of the Enders and the demo of MGS2 it included. I’ve since been involved with everything from Portable Ops and Ac!d through to MGSV. MGS stands out because it innovates so much. If you look back at past MGS titles you can see the hardware starting to match Mr Kojima’s overall vision. "PSP Peace Walker was the game changer. The addition of Mother Base laid a foundation that would really come to fruition in MGSV." In MGS3 he sows the seeds of an open world with the jungle trails and in MGS4 he takes it further with levels that, while small in scale compared to what we have now, can be approached in different ways. It was PSP title Peace Walker that was the game changer, though. The addition of Mother Base laid a foundation that would really come to fruition in MGSV. One of the highlights of working on MGSV has been watching people go ‘I wonder if I can…’ and they invariably can. There is utter freedom in the game, and it makes for some fantastic moments. MGS3 is my personal favourite. The innovation of the fact that one of the bosses dies if you wait him out and the ladder climb are two of my all-time favourite gaming moments. I managed the campaign to launch Metal Gear Solid on PSOne into the US. 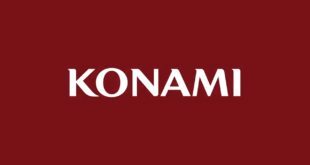 It was Konami’s largest campaign for a few years. We negotiated significant support from SCEA, themed our E3 booth around the Shadow Moses complex and ran a multi-million-dollar media plan. The build up to the first reveal of Metal Gear Solid at E3 in 1997 was crazy; sleepless nights, massive stress, controlled panic, the lot. Like any big event, the tension leading up to it was palpable but then there’s the huge wave of happiness when it all goes off smoothly. It was the first themed booth we’d done in Konami for E3 and I’d been the one that championed it, so I was both thrilled and dreading it in equal measures. Thankfully, the booth looked fantastic, the promotion team all played their roles perfectly and, as you know, the game was enthusiastically received. It was the start of it all. I remember shooting the TV spot for that launch, too. It was a pretty big production for us, working with SCEA’s agency for a live shoot in an old aircraft hangar. It felt like being on the set for a huge action movie. Being part of the team at the voiceover sessions was incredible, too. It was the first VO recording I’d been to. I had no idea what to expect and there we were working with Solid Snake actor David Hayter. It was the proper Hollywood experience.